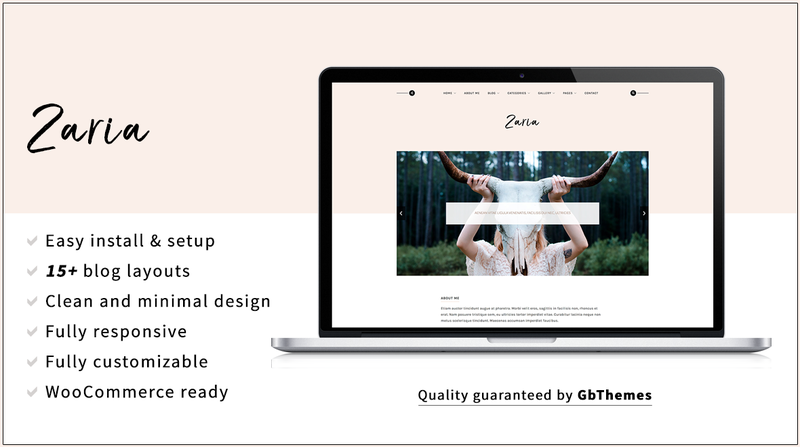 Zaria is a Clean, Minimal and Responsive WordPress Theme for creatives. It follows the trendy design with a combination of elegance. The theme was designed to be used easily of the beginner WordPress users without code knowledge. The theme comes with a powerful drag and drop page builder that will help you to create new pages in a minute. Also, Zaria theme has a powerful admin panel that give you full control to modify and customize styling, layouts, colors, fonts, logo, slider, etc. The theme package includes demo content files. You can import the demo content in one minute and your theme will look like the demo.